© Discovery RE Ltd 2013-2018. All Rights Reserved. 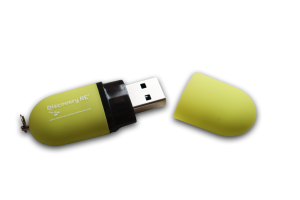 To give you a better idea of what you can expect in the teacher resource folders, we can send you our latest inspection materials on a handy USB flash memory stick. On the stick is a personal welcome from Jan Lever (Creator and Director of Discovery RE) along with informative videos introducing you to the Discovery RE Scheme of Work, the underpinning rationale, an overview of the programme and walk-through videos of some of the 3rd edition enquiry planning. 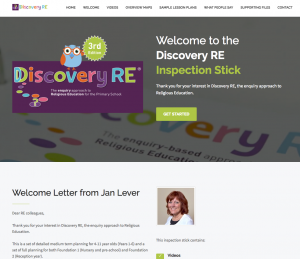 You will gain valuable insight into how Discovery RE is organised and see some of the feedback we regularly get from people who already use the scheme. Schools can receive an Inspection Stick FREE of charge – simply complete the order form below. I have read all the information on this page and declare I am authorised to make this request on behalf of my school/establishment and agree to the terms and conditions here-in. I understand that the Inspection Stick is made available on a case by case basis entirely at the discretion of Discovery RE Ltd to primary school teachers and senior staff. I understand this application will be ignored if I have used a personal email address. I am over 18 and consent for Jan Lever Group (Jigsaw PSHE & Discovery RE) to send me updates and marketing material on the products and services in their portfolio, including any relevant training events and conferences. 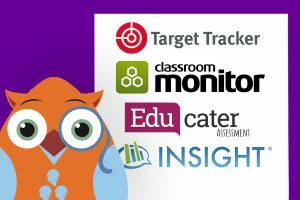 I understand that data relating to my school as a customer of Jan Lever Group is held in a secure place and the usage of such data is compliant with the GDPR act. I understand I may unsubscribe at any time. When your Inspection Stick arrives. Insert the USB stick into your computer’s USB port. When you first open the stick a number of files will be visible. Double-click the Welcome(.html) file to begin your Tour and the Welcome page (shown below) will appear in your favourite web browser. If you have any questions please check out our Teacher FAQ’s first (bottom section) where you will find detailed information about how to use the stick. You can also call our team who will be glad to assist. Our Inspection Sticks are supplied on the condition that no part of the Discovery RE package will be copied/distributed to a third party. We reserve the right to take legal action only to protect our brand. Our hard-copy resources are produced by a Carbon Capture print company, supporting the Woodland Trust, helping offset carbon emissions through the planting of more trees.